Origins: Industrial, Agricultural, or municipal origin. 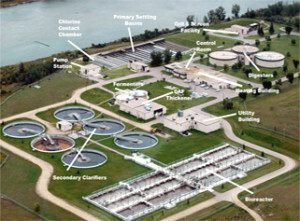 Wastewater Treatment : the process that removes the majority of the contaminants from wastewater or sewage and produces both a liquid effluent suitable for disposal to the natural environment and a sludge. Treatment Methods : Combination of mechanical, physicochemical & biological treatment steps. 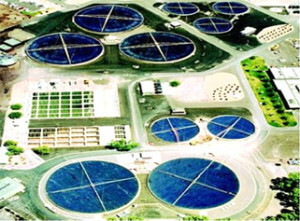 Biological Wastewater Treatment: Collective name for the processes that eliminate the organic matter using micro-organisms. Nutrients such as N (nitrogen) and P (phosphorus) can also be removed, thereby reducing the eutrophication risk. Biological treatment is actually the accelerated version of nature’s own way of water cleaning. It produces a clear effluent, harmless for the environment, by removing organic compounds from the wastewater, as well as nutrients such as N and P. From the economical point of view biolo­gical treatment is the most feasible method.AES Arabia Ltd systems are an advanced evolution of the most common biological treatment method, using activated sludge. Time Separated : one step after the other fill-and-draw reactor & sequencing batch reactor (SBR) system.